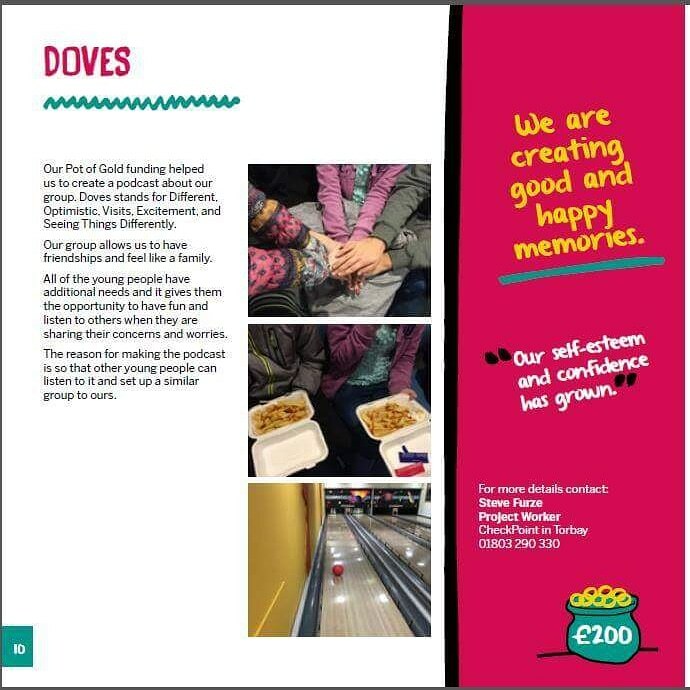 We are delighted to announce that our chosen Charity for the next financial year will be the Doves Section of CheckPoint Torbay - The Children's Society, £1.50 of every single booking will go direct to the Doves group to be spent on activities for them. Please see the picture for information on the Doves. The monthly visits usually involve going somewhere fun, doing something you both enjoy together like playing football in a park, or going for a bite to eat together, maybe bowling, or the cinema. If this is something that would also appeal to you then please contact Checkpoint who would be delighted to hear from you.